Set someone's spirits softly at ease with the soothing presence of our Peaceful Lilies bouquet. 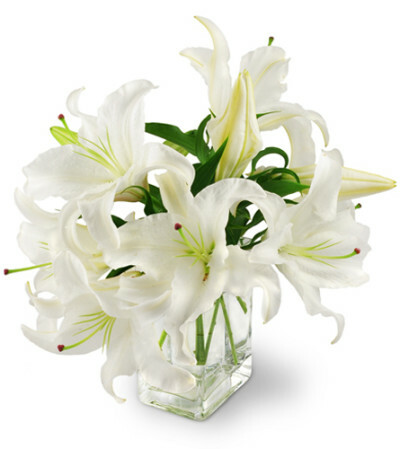 A graceful arrangement of pure white lilies sits elegantly in a clear glass cube vase, filling the room with a delicate, healing energy. 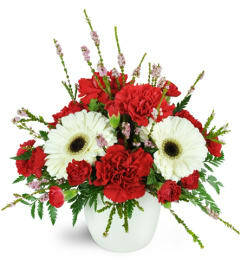 Your heartfelt kindness will be remembered for years to come. 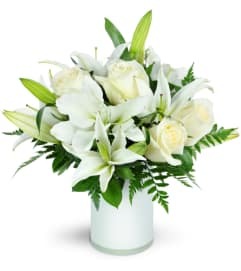 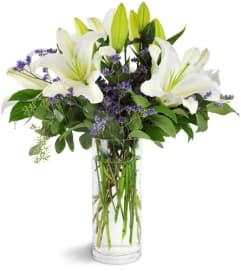 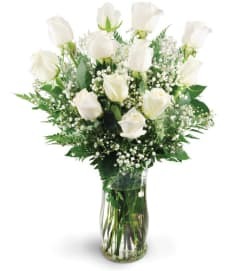 Four stems of white Asiatic lilies, with multiple blooms on each stem, rest gracefully in a clear glass vase.